UNITED NATIONS -- Russia has circulated a document on ending the nearly five-year-old Syrian conflict that calls for drafting a new constitution in up to 18 months that would be put to a popular referendum and followed by an early presidential election. The document, obtained Tuesday by The Associated Press, makes no mention of Syrian President Bashar Assad stepping down during the transition -- a key opposition demand. It only mentions that "the president of Syria will not chair the constitutional commission." It calls for U.N. special envoy Staffan de Mistura to launch a political process between the Syrian government and "a united delegation of the opposition groups" on the basis of the June 2012 communique agreed upon by major powers in Geneva calling for the establishment of a transitional governing body for Syria with full executive powers, leading to elections. Russia's deputy U.N. ambassador Vladimir Safronkov, who expressed regret that the document had been leaked, told The Associated Press: "It's our vision -- it's our proposal." "And of course we are receptive for proposals from the other side. It's just Russian contribution, how we launch a political process... to make parties work together, government and opposition," he said. The document was circulated ahead of a second round of talks in Vienna on Saturday among key governments on both sides of the Syrian conflict. De Mistura told reporters after briefing the U.N. Security Council late Tuesday that his message to the 15 members was "one word -- momentum." At the initial talks in Vienna on Oct. 30, the U.S., Russia, Iran and more than a dozen other nations agreed to launch a new peace effort involving Syria's government and opposition groups. But they carefully avoided the issue of when Assad might leave power -- a dispute at the heart of the conflict that has claimed more than 250,000 lives. 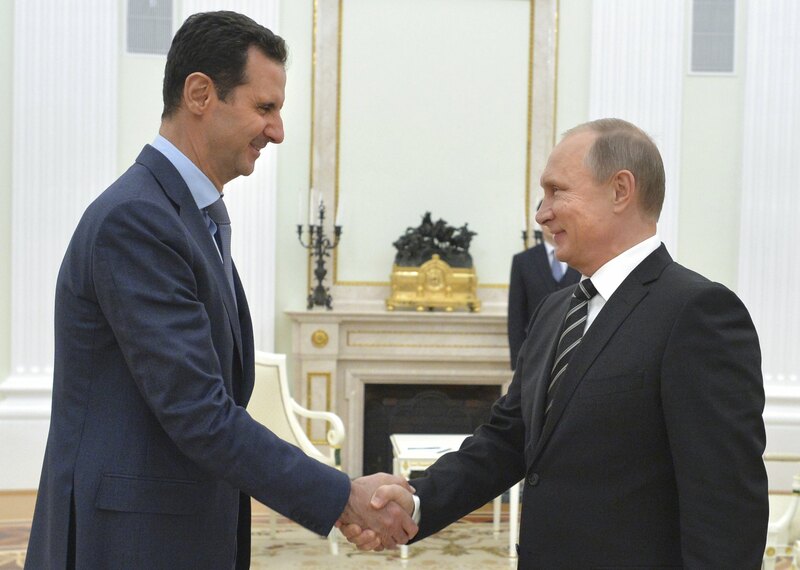 Flash Points: Is Russia wavering on support for Assad? De Mistura said he hopes the second round will "bring some deliverables for the Syrian people, and one of them should be reduction of violence... and I hope something in that direction can be achieved." It calls for the Security Council to agree to list the Islamic State of Iraq and Syria (ISIS, also known as ISIL) as "a terrorist organization," and agreement on an additional list of terrorist groups.